This winter Matt and his crew totally rebuilt my 30 yr. old Highlander sailboat. They re-cored it and refinished the exterior and interior. The work quality is excellent. I feel the end result is better than getting a new boat. He was easy to work with, easily understanding what I wanted and making suggestions for a better result. The price was very fair for the work done. I am very satisfied and would recommend him highly. I hope things are going well and 2014 will be a bang-up year for you. A couple of years ago the Thursday before Memorial Day weekend my boat/trailer was hauled to your location with a bad bearing on the trailer axle. You got the parts and got us back on the road the next day, saving the holiday weekend for my buddy and me. As you recommended, I replaced the axle the next week. I couldn’t help but think how lucky we were that we broke down in Canton and not in the hills of West Virginia. Wow! I just found your business card and want to tell you how much I appreciate your professionalism and resolving my problem so fast. If I lived in your area, I would recommend your shop to anyone having a boat problem. I have complete trust in Matt Fockler and Starboard Marine Repair when it comes to repair work and maintenance on my boat, motor and trailer. I have always received prompt, courteous service at a reasonable price, and the work is always completed when promised. I have recommended Matt to all my friends and would highly recommend him to anyone that needs his services. The work you have done on all of my boats has been exceptional. When my boat and trailer were damaged in a crash, Starboard Marine allowed me to bring in the boat and trailer the same day. When Starboard Marine was done with the repairs, there was no evidence of the previous damage. Matt is always willing to talk with me when I have questions, and he explains thoroughly the work need. I recommend Matt and Starboard Marine Repair to anyone needing work on their watercraft. We are first time boat owners. Just before the July 4th holiday, we sustained minor damage to the lower unit of our boat. We had to find a local Volvo Penta repair shop quickly. Starboard Marine fit us into their busy schedule and made the necessary repairs and so we could be on the water for the holiday. The technician was very knowledgeable and courteous. We would recommend their services to everyone. Starboard provides outstanding Winterizing Services. We took advantage of the deluxe package that is offered. We just dropped off our boat, picked it up a few days later, and we were done for the season. No hassles. No worries. We are ready for the next boating season. Bob and I want to thank you for the many years of service you have provided. Your expertise and honesty is so appreciated. Whether we had our yearly maintenance or a special service such as bottom paint or gel coat repair, you have done a FANTASTIC JOB. We had many inquiries as to who did the bottom paintpainting. It is very hard to find someone who is prompt, competent and honest! You have been all of this and more. Starboard Marine–well where does one begin? Thanks to Matt, our family was able to enjoy two fun-filled summers of boating against seemingly insurmountable odds. Our initial contact with Starboard Marine came on the heels of a freak incident that rendered our Cobalt’s Volvo Penta motor inoperable. Matt took the boat in, assessed the damages and worked with both Volvo and the insurance adjustors. In short, we were back on the water in a brief period of time and enjoying our family time together. This past summer, more self-inflicted boating problems, this time to the outdrive. Our boat was delivered to Starboard Marine’s capable hands. Again, Matt handled both the repair and the insurance claims. He got our boat back on the water in good time and in good working order. Matt has handled everything on our boat from major motor work to winterizing. We have even, on occasion, seen Matt and his wife Denise on the water enjoying their day off. 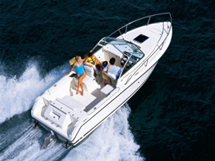 Starboard Marine is only place to go for all your boat and trailer repair needs. Their combination of knowledge, workmanship, reasonable pricing and fast turnaround time simply can’t be beat. In our 20+ years of boat ownership, Starboard Marine has proven itself time and time again over the competition. I have several boats and used another local marine service for years. A couple years ago, I found Starboard Marine and decided to give Matt my business. Truthfully, it is difficult to summarize his outstanding service. Matt is extremely knowledgeable and gifted in marine work. From annual winterization, to fiberglass and trailer repair–I have used him for a wide range of services. He operates a neat and well-organized facility, and he is always willing to help order parts and supplies and to answer my questions. Probably above all else, the incredibly fast turnaround and completion of my boat work is most impressive. We had our boat winterized and our trailer brakes rebuilt. Your knowledge of (Volvo) Penta over the last few years has been very helpful to my wife and me because I don’t have the time or tools needed; a good technician is important. I have been satisfied with your service levels and personal contact. When I want to go boating, I need a boat that runs well. Quality service and repairs are very important. The quality has been good, and your response to problems has been good. Starboard Marine’s speed of service is lightening fast. My boat has never been at Starboard Marine for longer than two days for any mechanical problem. I always talk directly to the technician who works on my boat, and I get the desired results. The gel coat repair (hard for this captain to admit he needs it) and bottom painting has kept my boat pristine. 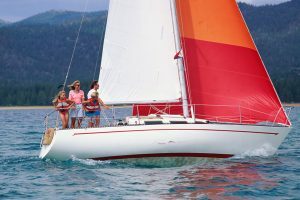 Starboard Marine thoroughly evaluates my boat each season, so my boat has not missed one day of summer fun in seven years. Service is excellent, service is fast, and service is reasonably priced. I always look forward to seeing Penny the dog. Since purchasing our boat brand new in 2005, finding Matt Fockler was the best thing that could have happened to us. With any type of “fun” investment, you want to keep it in tiptop shape. Matt has repaired nicks in the fiberglass and major scratches in the paint and gelcoat. Not only has Matt used his body skills on our boat, he has also cleaned it up after a summer of being docked. At two years old, our boat looks brand new, thanks to Matt. The prompt and courteous service we receive time and again is constant and genuine. 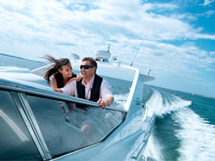 We completely trust Matt Fockler and Starboard Marine with our “fun” investment. Matt Fockler /Starboard Marine has been servicing my two boats for years now and recently restored my classic Madriver canoe. The workmanship is amazing. He is always prompt getting my boats back to me, and his work is reasonable. I recommend Matt and Starboard Marine. For over five years, we have been very pleased with Starboard Marine’s maintenance work, repair, hull painting, engine replacement, canvas and upholstery. We wouldn’t trust anybody else but Matt with our cabin cruiser. Many people have commented on the excellent workmanship. Thanks, Matt. My boat is 20 years old and still looks great! That takes a bunch of TLC. However, mechanical systems require more than spit and polish, and that’s where Starboard really shines! I’ve entrusted my boat’s maintenance and repair to them ever since they opened for business. I couldn’t be more satisfied. Since I boat on Erie, reliability is essential. The Starboard crew has uncovered and fixed problems that could have been a serious and unsafe shut-down out on the lake. I’ve trusted them for electrical, engine and drive repairs, as well as for several cosmetic renovations. I feel they’re very dedicated and concerned for my boating pleasure and safety. I’d give them 5 stars! First class job on a transom rebuild, tune up, and other mechanical work. Work was done in a very timely manner, and I was kept informed of my options every step of the way. I will definitely be a repeat customer. 5 stars. Matt and Starboard Marine saved our summer! We took our boat to Starboard Marine on a Saturday morning after the failure of a cooling water pump and extensive heat damage. Matt had to lift the motor and replace various hoses, wire harnesses, etc., to repair the damage. This work was completed within the same week and we picked it up the following Saturday. As part of that work, he also provided more clearance from the heat producing areas for the hoses and harnesses. He also added a temperature alarm that activates the boat’s horn as an early warning for a temperature upset. The work was done in a highly professional manner at a reasonable cost. I will use Starboard Marine for all my preventive maintenance and winterization needs to eliminate any future major damage. 5 stars to Starboard Marine! I’ve had multiple experiences with Starboard Marine and agree with the 5-star rating. They did a great job on bellows replacements, bottom paint (especially the attention to detail), and many winterizations. They are thorough, and when they find anything of concern with your boat, you will get a full detailed description of the problem, potential effects, and options for addressing it. No pressure sales either! I have been taking my boats to Star Board Marine for several years. They have always done an outstanding job for a great price. I just returned home with my 31’ Sea Ray. Once again, more than I can ask for. Thanks, Matt! Our cabin cruiser is our pride and joy. We wouldn’t trust anybody else except Matt at Starboard Marine, whom we have dealt with for more than five years. He has performed excellent maintenance, engine repair, engine replacement, propeller tuning, biminy and cabin canvas work, hull painting and upholstery, not to exclude winterization each year. All of the above services were done well above expectations and brought many, many comments from other boaters, about the excellent workmanship. We’ll continue with Matt at Starboard Marine for many years to come. The best marine repair shop in NE Ohio. I really never write reviews, but this company is five stars all the way! The first year I owned my Crownline 25LS, I put a ding in the swim platform; I was horrified! Matt and his crew repaired the fiberglass to perfection, and for a very reasonable price. I would never take my boat to any other marine repair shop to save my life! I also just had some minor engine work done, and the engine now purrs like a kitten. The attention to detail is second to none. 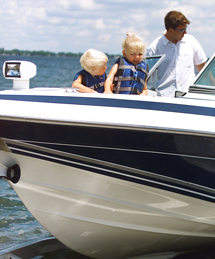 Trust me, you will not be disappointed with the quality workmanship you will receive at Starboard Marine. For over five years, we have used Starboard Marine for all our service needs–winterization, maintenance, hull painting, engine repair/replacement, upholstery and canvas work. All services were performed above our expectations. We have received many compliments and would highly recommend Matt for any and all boat lovers’ needs. We would not trust anybody else except Matt to keep us nautically secure when on the water in our cabin cruiser. I contacted Matt because my boat was damaged as a result of a storm. When I got my boat back this spring, it looked like a brand new boat! No kidding! He went above and beyond with the repairs, and I am extremely pleased with the quality of his workmanship. I own an insurance agency, and I will recommend Matt to any of my clients (or friends) that need his services. Thank you, Matt; keep up the good work and have anyone contact me that is inquiring about your work. Thanks again! I have been using Matt at Starboard Marine for several years now for a whole host of marine repairs. Starboard has completed for me everything from the easiest tune-up items, to winterization, to trailer repairs, to electronics installation, to more significant engine and carburetor repairs. I tried a few other marine repairs shops in the Stark County area before I found Matt. Truthfully, they do not compare. His mechanical knowledge, upfront honesty, and personal care for my boats are very reassuring. The timeliness to complete the services have always been very reasonable, in fact, speedy. He even made a road trip to the lake to help me out when I was in a jam! Trust me, he will treat you right. When I found damage on the hull of our boat after a day of boating, I worried about how extensive the damage was and how expensive the repair would be. Matt at Starboard Marine Repair helped me understand the extent of the damage, was helpful in working with our insurance to negotiate payment, and he and his staff did a great job with the repair work. This was major repair work that involved pulling the deck of the boat off and doing fiberglass and structural work inside and out of the hull. In addition, they matched the exterior paint perfectly and even added an extra locker in the deck. Matt has taken care of my boat for winterizing and trailer repairs in the past, but this was the most work that I have ever had done, and I am very pleased with the work. I would recommend Matt to anyone for any boat job, big or small.